So we have come to Madrid to attend to Replic_age, the Design & Digital Manufacturing event happening from 23rd to 25th May at Matadero Madrid. 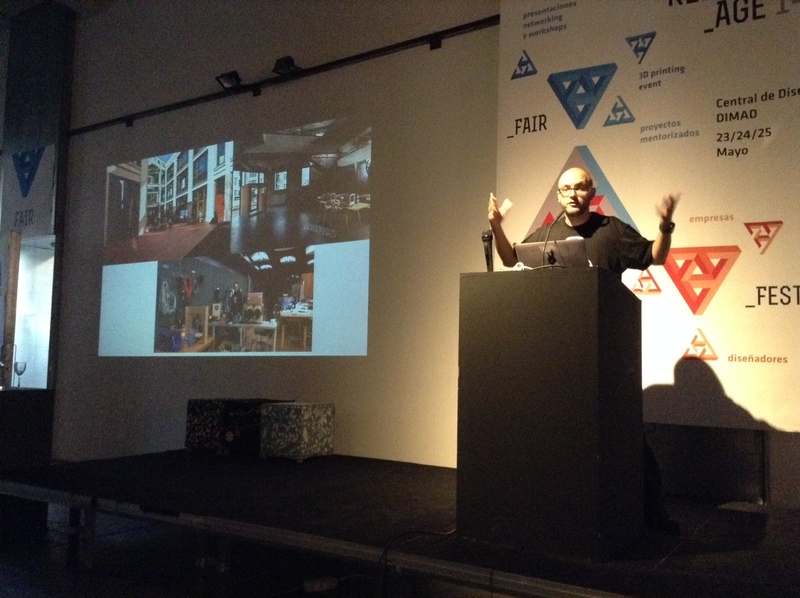 The event is organized by DIMAD and Makespace Madrid and has 2 areas: Fair and Fest. Fair is the area open to the general public, where people of all ages can interact with the latest advances in digital fabrication as well as knowing what fab labs and universities are working on this matter. On the other hand, Fest is the festival featuring presentations and lectures of renowned professionals, along with workshops and networking opportunities for attendees. On Fest stage, Daniel Pietrosemolli introduced Medialab-Prado to the audience, a city-funded organization that promotes digital culture. The “citizen laboratory” is placed in an old wood sawmill reconverted into a modern fab lab. They offer helpful services to anyone with a digital fabrication project in mind. After that, Sara Alvarellos presented Makespace Madrid, a new space dedicated to digital fabrication that is sustained by its own members. 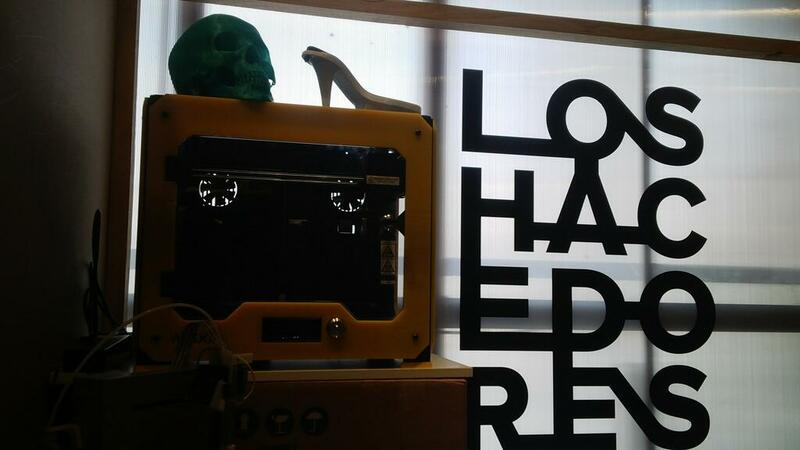 Their complete digital fabrication equipment is available to all the members of the community. Here, more information about membership. It was time for a quick lunch. The afternoon started with ArduinoArts, a knowledge base for Arduino projects, tutorials and news related developed by Javier Lander, an Industrial Engineer and musician grown in the DIY culture. During his very enjoyable speech, Javier showed to the audience a wide range of the endless potentials of working with Arduino. Adam Jonquera from Madrid-based group Los Hacedores gave us an enthusiastical and lucid talk, reflecting over the even early state of adoption of postdigital technologies like 3D printers. We have the machines, now we need to learn to use them. In that sense, they see themselves as modern literators in a new Gutenberg age of making things. Last Lecturer of this first day at Replic_age, was Rafa Zaragoza from Thinkers Co., creators of Designpedia, the handbook of design thinking. His speech was very engaging and business-oriented, talking about the huge changes starting to happen in business processes.